We’ve always known that tea can improve most things – mornings, moods, meetings, and now – gin. There are loads of teas that would be great candidates for infusing with spirits, but for our first tea-infused gin it had to be Champagne Cassis. It’s been an absolute fave over the years with our customers (and us! ), and contains some amazing white tea botanicals – black and redcurrants, balm leaves, lemongrass, cornflower and sunflower blossoms. With all that goodness you can’t go wrong! So we set about the production process. LEAF Dry Gin is made in a copper pot still and distilled by hand. No messing. As it’s a small batch production, only 430 bottles of this premium gin have been made to date, exclusively available to enjoy through LEAF and our family of venues – LEAF on Portland Street, OH ME OH MY, ONE FINE DAY, the Garden by LEAF, and online at www.thisisleaf.co.uk. Fast-forward to summer 2018, and we couldn’t have been happier to discover we were taking home an award for our LEAF Dry Gin, having won Bronze in the International Wine and Spirit Competition 2018. Founded in 1969, the IWSC is essentially the most prestigious competition of its kind in the world, and representing Liverpool on an international stage is something we’re really proud of. As well as being available by the bottle, our gin can be experienced in all of our venues, so don’t miss out. 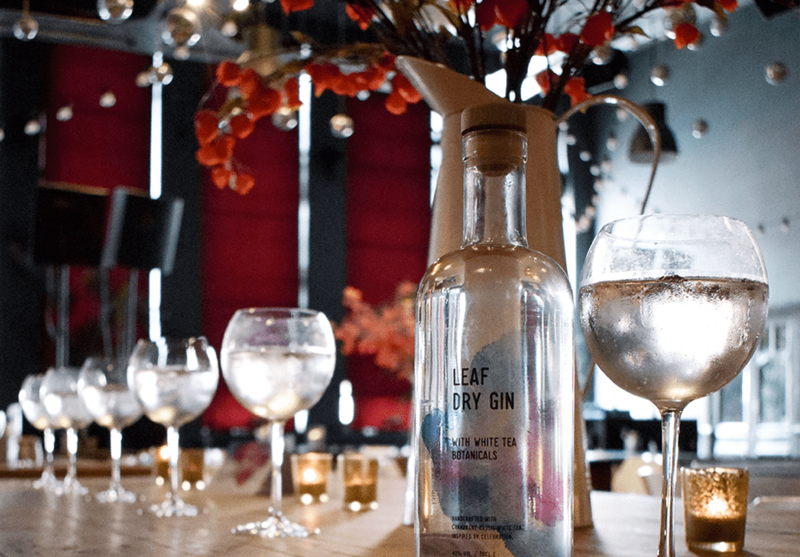 There may be more infused spirits in the pipeline, but for now we’re celebrating with a perfect serve LEAF Dry Gin. Join us!